It's the end of the line for some downtown riders, but only for 10 days. Light rail commuters and weekend revelers alike will need to plan on extra time getting around parts of downtown. RTD’s work crews will be upgrading tracks and components of some of its original light rail network for 10 days starting Friday night, Sept. 14. The closures, from the 30th and Downing station and the Theatre District/Convention Center station, begin 8 p.m. Friday and are scheduled to end at 3 a.m. on Sept. 24. The work will cause the suspension of light rail service. The D, F, H, and L lines will all be affected. The L line service is suspended entirely during construction. The D, F, and H lines will still run southern routes, but the final northbound stop will be Theatre District/Convention Center. RTD has made arrangements for bus shuttles to help you get where you need to go during the 10-day closure. Just think of it as adventures in public transportation! “Bus shuttle service will be provided. 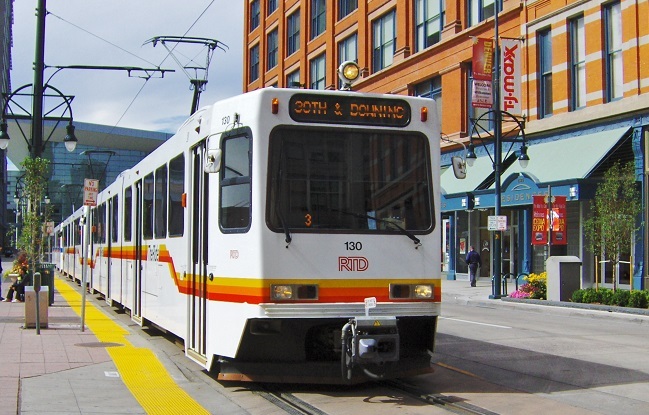 Please allow extra travel time,” RTD’s website says, suggesting that you plan on a total trip time of 20-30 minutes between 30th & Downing and Theater District/Convention Center Stations. You can access the shuttle schedule here. RTD says that the schedules and frequency of the D, F, and H line departures from the Theatre District/Convention Center are unchanged. However, there may be delays, as the trains will have to turn southbound at the location. Transit map for RTD downtown Denver light rail closures of D, H, F, and L lines from Sept. 14 through Sept. 24. Courtesy of RTD. In addition, all traffic lanes on 19th Street between Stout Street and California Street and on California Street between 18th Street and Broadway will be closed during construction. Some bus routes will be affected by this closure, as well. The project is specifically focusing on the curved-track sections near the intersection of 19th and California Streets, which is around 24 years old at this point. The entire project is funded by a $2.5 million dollar Colorado Department of Transportation grant. 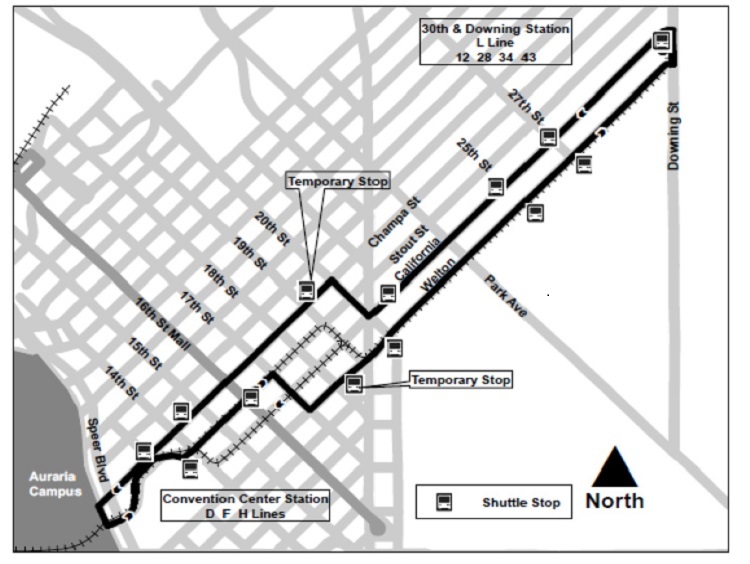 Details about the work, including the bus shuttle schedule, are available on RTD’s website. There's a lot of fun events happening this weekend. Check out our full weekend round-up (Sept. 14-16)!